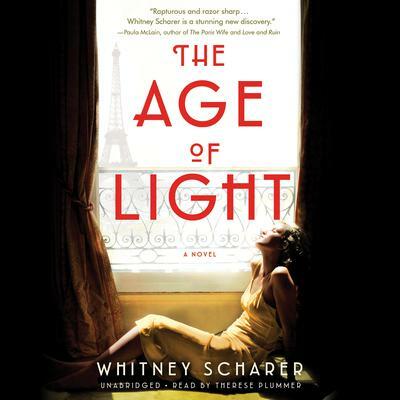 "Sweeping from the glamour of 1930's Paris through the battlefields of World War II and into the war's long shadow, The Age of Light is a startlingly modern love story and a mesmerizing portrait of a woman's self-transformation from muse into artist." --Celeste Ng, New York Times bestselling author of Little Fires Everywhere She went to Paris to start over, to make art instead of being made into it. 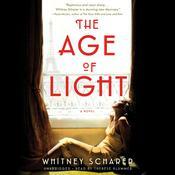 A captivating debut novel by Whitney Scharer, The Age of Light tells the story of Vogue model turned renowned photographer Lee Miller, and her search to forge a new identity as an artist after a life spent as a muse. "I'd rather take a photograph than be one," she declares after she arrives in Paris in 1929, where she soon catches the eye of the famous Surrealist Man Ray. Though he wants to use her only as a model, Lee convinces him to take her on as his assistant and teach her everything he knows. But Man Ray turns out to be an egotistical, charismatic force, and as they work together in the darkroom, their personal and professional lives become intimately entwined, changing the course of Lee's life forever. Lee's journey takes us from the cabarets of bohemian Paris to the battlefields of war-torn Europe during WWII, from discovering radical new photography techniques to documenting the liberation of the concentration camps as one of the first female war correspondents. Through it all, Lee must grapple with the question of whether it's possible to reconcile romantic desire with artistic ambition-and what she will have to sacrifice to do so. Told in interweaving timelines, this sensuous, richly detailed novel brings Lee Miller-a brilliant and pioneering artist-out of the shadows of a man's legacy and into the light. Whitney Scharer earned her MFA in Creative Writing from the University of Washington, and her short fiction has appeared in the Bellevue Literary Review, Cimarron Review, and other journals. She’s received an Emerging Artist Award in Literature from the St. Botolph Club Foundation, a Somerville Arts Council Artists grant, and been awarded a residency at the Virginia Center for the Creative Arts.